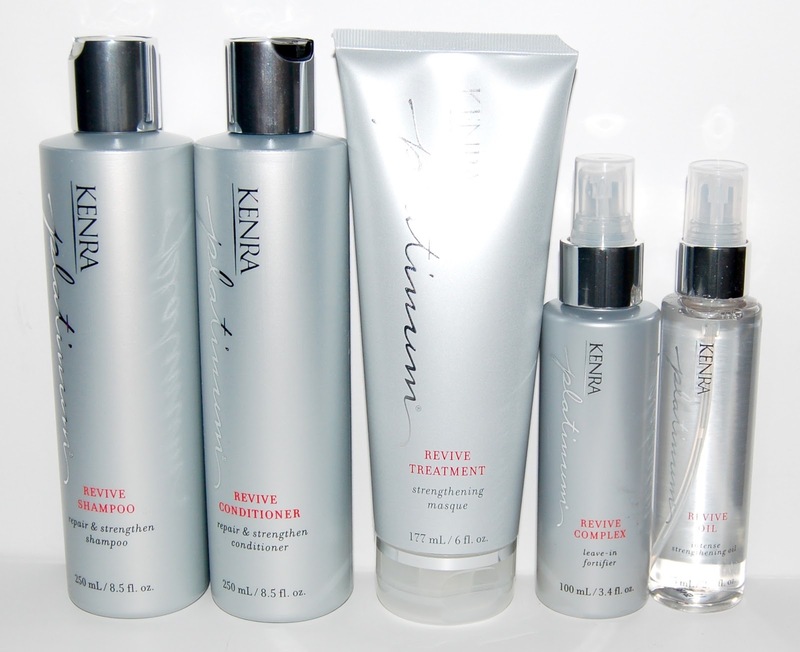 If you are a regular reader of The Beauty Isle, you may already know that I love Kenra hair products. Their Platinum Blow-Dry Spray is one of my favorite hair products of all time. I was recently able to try some products from their new Revive Collection. The Kenra Platinum Revive Collection is specifically formulated to strengthen and repair the hair cuticle from the inside out. The system is the perfect go-to after any chemical process as it reinforces the structural integrity of the hair follicle and leaves you with instantly stronger shinier, and healthy hair. Revive Shampoo & Conditioner: Penetrates the cortex to repair and improve elasticity. Revive Treatment (hair mask): Saturate fragile hair with moisture to restore radiance. Revive Oil: Add to any Kenra product to prevent breakage. Revive Complex: Smooth and fortify dry, brittle ends to combat damage (this is also a heat protectant of up to 450 degrees). The scent of these products is a very light herbal-type scent, barely noticeable and gone within a few seconds. I love every product in this line! Overall, my hair looks shinier, healthier, and less frizzy. The mask, oil, and complex are my favorites. I use the mask once a week after using the shampoo. I leave it in my hair for 5-10 minutes with a shower cap while I perform my other shower activities. This product makes my hair shiny, smooth, and almost bouncy! When my hair is towel dried, I apply a mixture of the Complex and the Oil to my hair from mid-length to ends. I also apply more oil once my hair is dry and styled. I do feel like my hair feels and looks healthier using both of these products. You can purchase Kenra hair products at salons and Ulta. To find a salon to purchase from, check out the Kenra website.